As for me, my weekend is so relaxing. I've been to salon to pamper my self. I had a moroccan bath, a manicure and a pedicure & a very nice massage. Yayyy for the weekend! 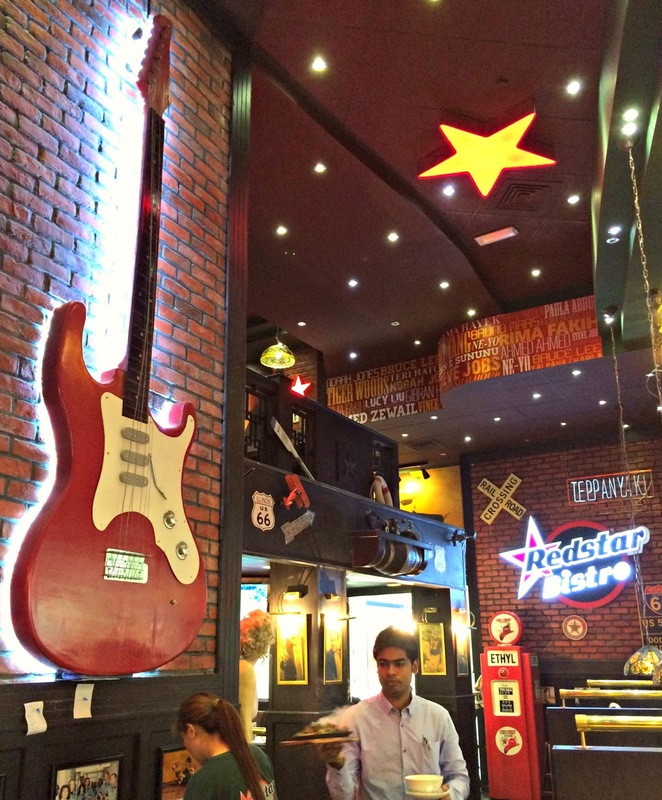 Anyways, today I wanted to share with you my experience at Redstar Bistro located at Al Wadha Mall. 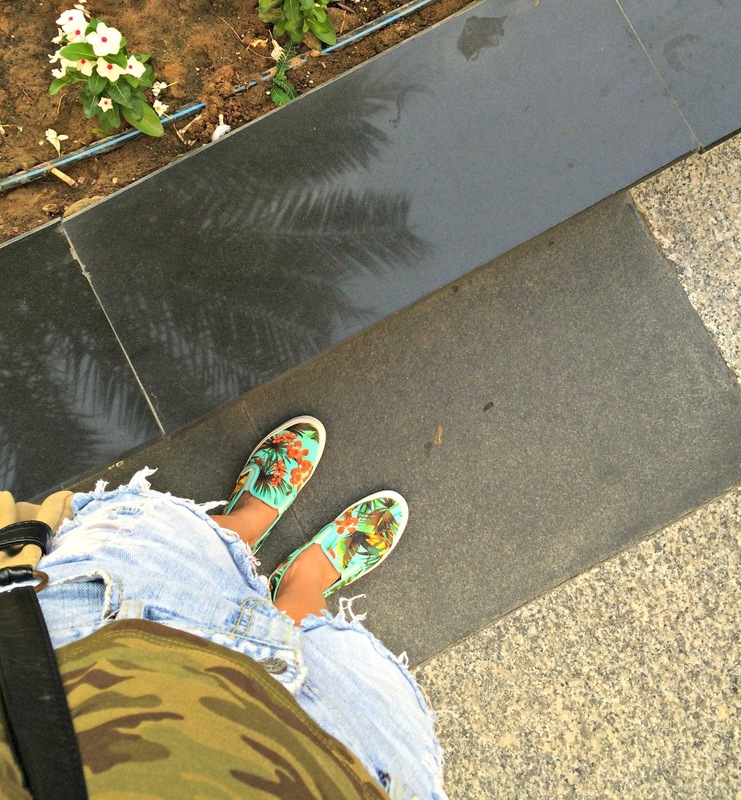 I'm in the mood to get some street style look that day so I wear a camo top paired with my short and wear my very first slip on from vans. Yeeeey! 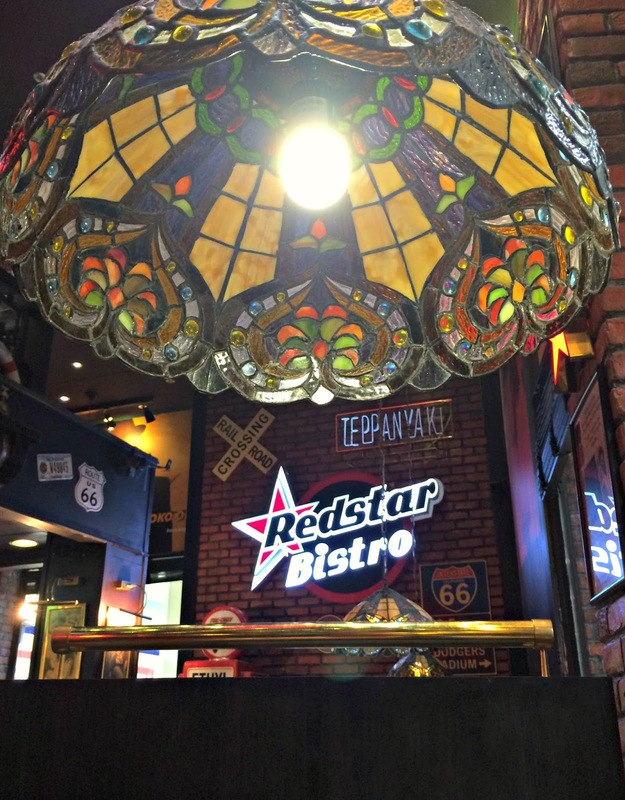 We went to RedStar Bistro and take a look around. 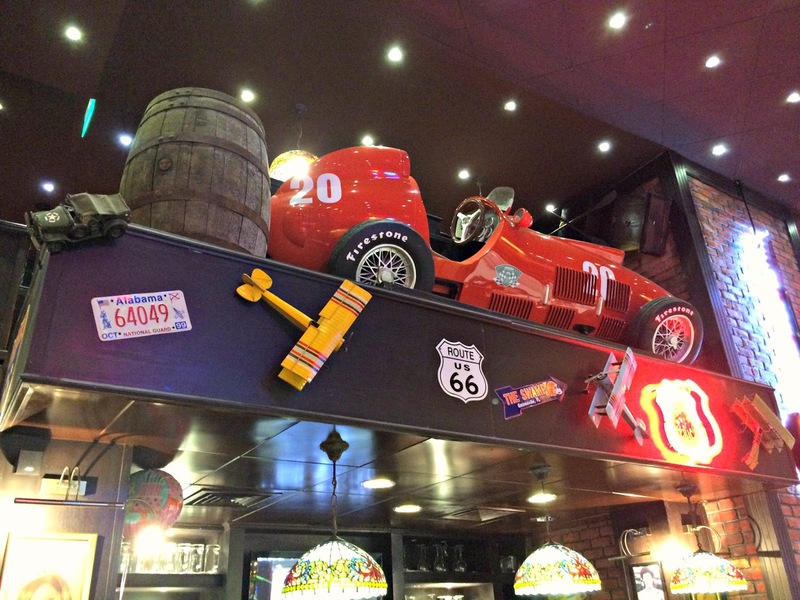 You may see the pictures above that the place looks so amusing. 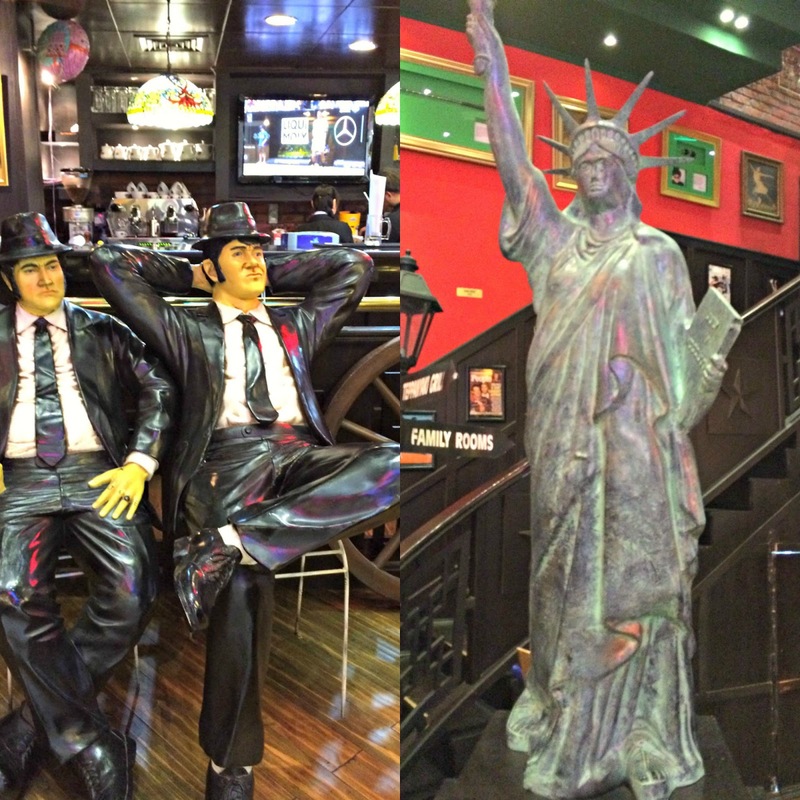 There's a lot of statues, big guitars and cars around the place but I'm sorry if i find Marilyn Monroe creepy. 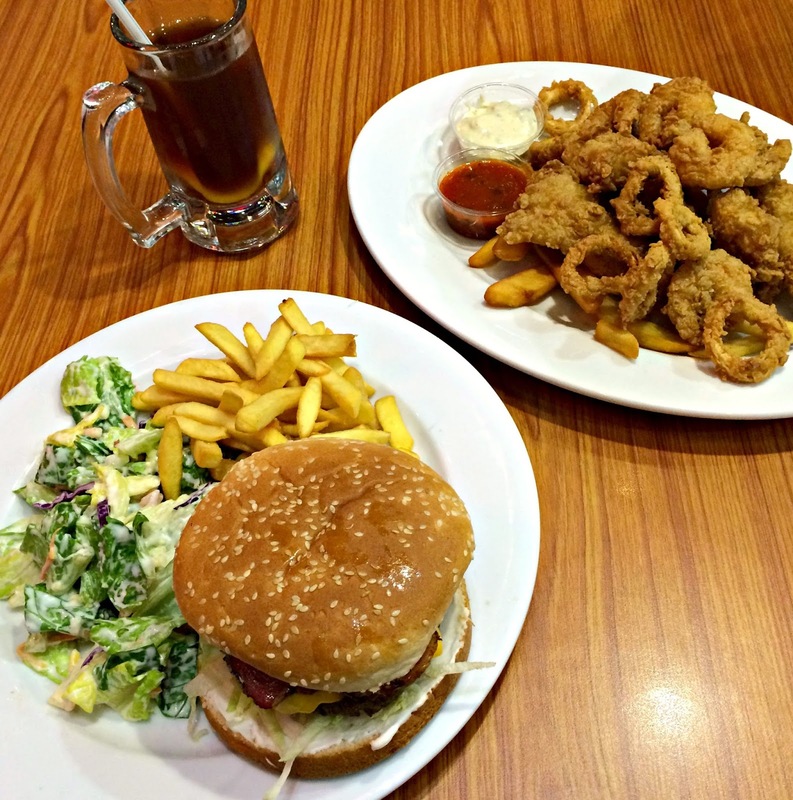 Since I'm not really feeling hungry that time, I ordered fish and fries and he ordered burger with salad on side. As for the food cost, it's quite pricey for a regular food like this. I like the taste of the burger patty because it's juicy and tender and the side salad taste fresh. What i don't like is my food, it's just a normal milk fish & squid covered with breading. Well it's fine for me since I'm not that hungry that time so I let my hubby eat the rest. 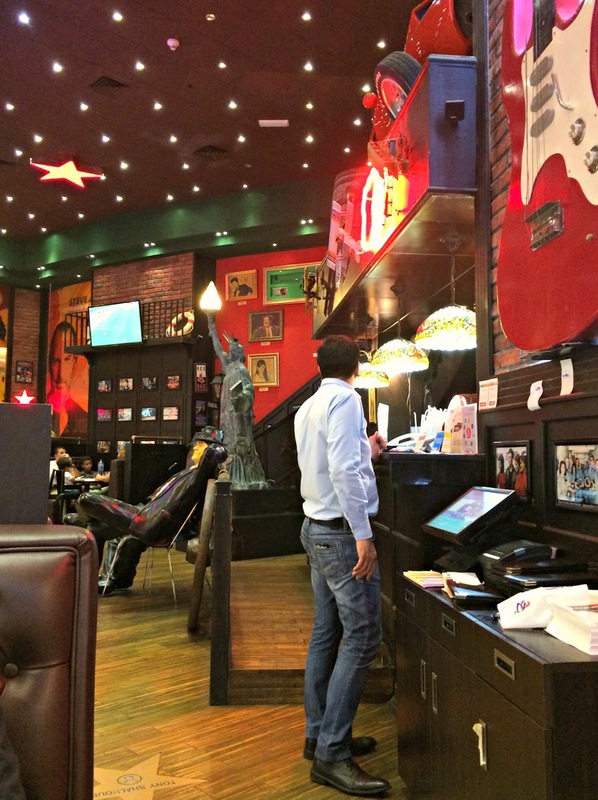 I can say that their staff are friendly and the place is amusing so i'll give it a 3 out of 5 stars.